You might have heard a bit about magnesium and its range of health benefits. But, how does magnesium really help with sleep and how should you use it? Here is a comprehensive guide to using magnesium for sleep. Magnesium (Mg) is the fourth most abundant element in the earth and the eleventh most abundant mineral in the human body. So as a natural mineral, magnesium is kind of a big deal. Humans get their magnesium from foods, such as legumes, nuts, cereals, seeds, meat and leafy green vegetables. Yet, magnesium deficiency is a common problem. It has been estimated that up to 80% of the population is low in magnesium, usually caused by inadequate dietary intake. Symptoms of magnesium deficiency range from fatigue, weakness and nausea to cramps, numbness, and even abnormal heart rhythms. Magnesium is fundamental to our cells and body organs. Magnesium is involved in bone, muscle and DNA production as well as contributing to the functioning of enzymes, nerves, the circulatory system and the brain, just to name a few. It’s safe to say that the human body cannot function without magnesium. Magnesium has also been reported to help with excessive stress, mood disorders, chronic pain, skin conditions and insomnia. Sleep Doctor, Michael J. Breus, claims that “few dietary elements have more influence over the body than magnesium.” People with low magnesium levels can experience restless sleep and frequent waking. Magnesium relieves muscle tension and has many relaxing properties that help both the body and brain to relax. Magnesium activates the parasympathetic nervous system which is involved in calming the body and mind. It also regulates melatonin, which is known as the sleep hormone because it controls your internal body clock. Magnesium also supports deep, restorative sleep by maintaining healthy levels of GABA. GABA is a neurotransmitter that helps quieten down nerve activity, and is often found in sleep medication. As well as helping you to drift off initially, using magnesium also helps with achieving a deep and restful sleep. Magnesium can also provide relief to people who suffer from other health problems that can cause insomnia, for example restless-leg syndrome, depression and anxiety. ORAL MAGNESIUM SUPPLEMENTS can be taken in the form of a tablet, capsule, liquid or powder. These can be found at pharmacies or health food stores and can come with added vitamins and minerals. MAGNESIUM OIL is a great way to apply magnesium topically and comes in a convenient spray bottle. The word ‘oil’ is misleading as the magnesium is usually dissolved in water. The spray does not feel oily and will not leave a residue. It is believed that transdermal (through the skin) absorption of magnesium is faster and more effective than oral methods. It can be used on any area of the body. Try it on areas where you are experiencing tension or pain. Half an hour before bed, rub it onto your feet and the backs of the knees for a tranquil sleep. Sometimes a slight stinging can occur, especially on broken skin, but this is nothing to worry about and can actually be a sign of magnesium deficiency. Australia is lucky to have a wonderful range of companies that offer natural magnesium oil sprays. We love Amazing Oils Magnesium spray because its the most effective one we have tried, and as a bonus they are an Australian family company. MOISTURISERS WITH MAGNESIUM are another effective transdermal method of topping up your magnesium levels. If you were thinking that adding another task to your daily routine is all just too much magnesium cream could be the answer – moisturising and applying magnesium at the same time. Which creams you like will depend on personal preference so have a read of the ingredients first. In general, creams and balms will not be as high in magnesium as the magnesium oil sprays. ROLL-ON MAGNESIUM is another popular way to apply magnesium. As with the sprays and creams, choice of roll-ons really comes down to personal preference. Roll-ons are handy to take travelling or to pop in your handbag due to their size. They usually have similar levels of magnesium to the sprays and should be applied in the same way to areas with pain or tension. Unlike the sprays, a roll-on should not be shared with other people. If you are not sure about roll-ons, Amazing Oils also has a concentrated magnesium stick. BATH SALTS are fantastic for soaking all that lovely magnesium into your body. But, not all bath salts are created equal. Look at the ingredients of your bath salts to know what you are getting. Magnesium salts (Magnesium Chloride) usually come from seawater and are high in magnesium. Dead sea salt is a common ingredient as it is very high in magnesium, potassium, calcium chloride, sodium and bromide. Traditional Epsom salts (Magnesium Sulfate) are also high in magnesium and great in a relaxing bath. They also have added health benefits from the sulfate. However, sulphur can irritate some people’s skin so do a patch test first. OTHER BODY PRODUCTS can come with added magnesium so if you are serious about your magnesium you might want to try body scrub, deodorant, body wash, hair product, cleansing bar, self-tanner or bubble bath with magnesium. Magnesium is beneficial for children as well as adults. Magnesium assists with physical growth and mental development, as well as helping with behaviour problems and poor sleep. Always read the label of your magnesium product to see if it is suitable for your child’s age. Some will suggest a diluted version for younger children. There are also magnesium products formulated specifically for children and babies, like the LITTLE range from The Base Collective. Always remember to do a patch test first. Please note: This article is not to be used as medical advice. Always speak to a medical professional before taking supplements to make sure they are right for you. This post may contain affiliate links. Totally totally agree! magnesium is my go-to when i am feeling run down. Magnesium? Magnesium! Yes, magnesium deficiency effect so many areas of your life. You don’t realise until you correct it. I use a spray magnesium oil every night. I love it! It would definitely be worth trying it topically. It’s not going through your digestive system so your body might receive the magnesium better. Good luck and we’d love to hear the outcome. I definitely believe Mg is helping with my night time leg cramps! Thanks for these tips! I love to learn ideas about how to get good sleep. Perhaps i must add magnesium supplements to my diet. Magnesium is a very important mineral and I didn’t know of its benefits. Thanks for sharing these very important qualities. I’ve heard really great things about magnesium for sleep. I have my eye on a cream that you apply to your feet. Definitely get it and give it a go! Great to hear you are spreading the magnesium joy. I know a friend who does this. She relies on it for a good night’s rest. Very interesting. 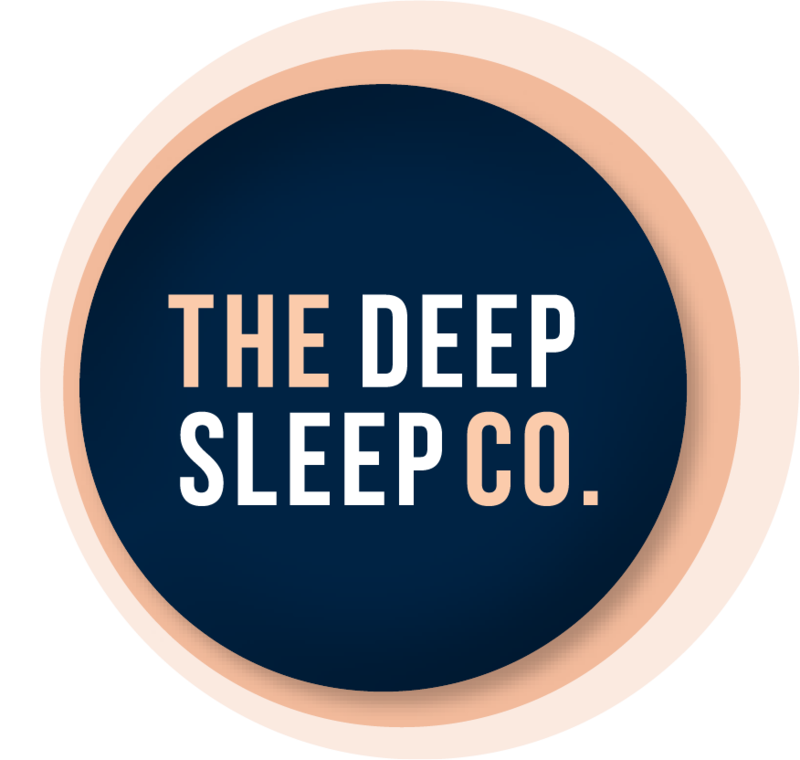 I didn’t know that Magnesium was so important for a good sleep and that there were so many products out there specifically for this! I really need to eat more foods with magnesium. I have insomnia but it’s due to chronic pain. I can see how it would help with that as well. This is very helpful. Thank you so much for this information! I am always looking for better ways to sleep… especially with two kids! very informative indeed! I liked how you detailed your topic and how it will benefit mankind. I am so interested in this. My husband has chronic back pain and his pain management doctor told him to take magnesium to help the pain, but it didn’t seem to help. Maybe topically it will. I cant speak from experience but I have read studies about topical magnesium being more effective for pain.